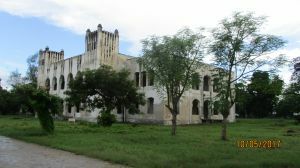 The Holy ghost mission fathers' house is one of the many landmarks in the town of Bagamoyo - Tanzania that are of historic value. 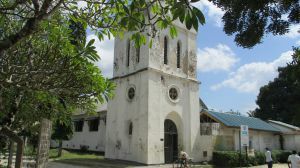 It has three stories and is one of six sites that are in the compound of the Catholic church (Bagamoyo parish), with the others being the dispensary, the sisters' house (now museum), the Livingstone tower, the baobab tree where madame de Chevalier tied her donkey, the current church and the cemetery where some of the church's earliest missionaries were buried, all of which date back to the late 19th century. 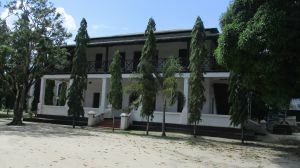 A history of the placeThe house was built originally built in 1873 to be a residence for the Holy ghost fathers, a group of missionaries of the Roman Catholic church . 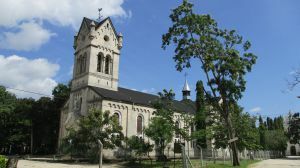 The whole construction was done in three stages, the first part of which was the ground floor that was completed in 1873, then the first floor in 1877 and finally the second floor in 1903. 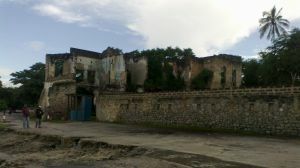 In 2009, part of the front wall collapsed but was later on rebuilt . 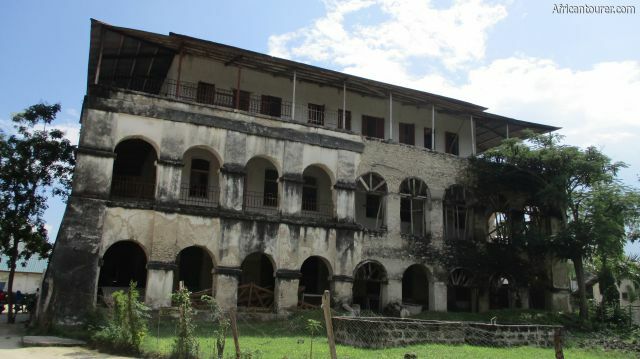 The building is currently owned and run by the government of Tanzania and not the church. What to do there?Nothing much as the whole building is currently under renovations by the government, but there is talk of plans for it to be open to the public in the future (unconfirmed). Leaving little activity at the site but admiration (if you like) of the 19th century architecture that has stood the test of time for over a century, or you could visit the other four buildings nearby (see list above). If you have a keen eye, you would notice that the house, the garden, the statue in front of it and mango drive all the way to the cross on the beach, form an arrow like shape, visible from the air (see map), that points slightly north of the equator. We don't exactly know why yet but it may have something to do with the direction of sunrise. 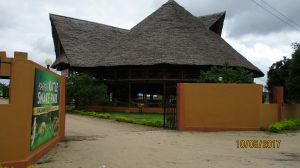 The Holy Ghost fathers' house is located at the end of Mango dr. and in the northern suburbs of the small town of Bagamoyo - Tanzania. Behind it is a teacher's college and infront of it Mango drive that leads to the christian cross that is on the beach. For more information on its location, please see the map below (click to start). 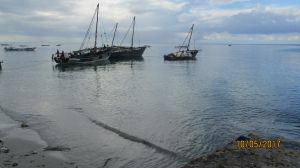 How to get there?From the town centre, you would have to head north along a tarmac paved road that runs alongside the coast until you get to Mango drive, a long stretch of dirt road with Mango trees on either side. The house should be one of two buildings you see at the end of this road (right). Are you associated with Holy Ghost Fathers House ? Contact us to improve this page or create another page for your business.